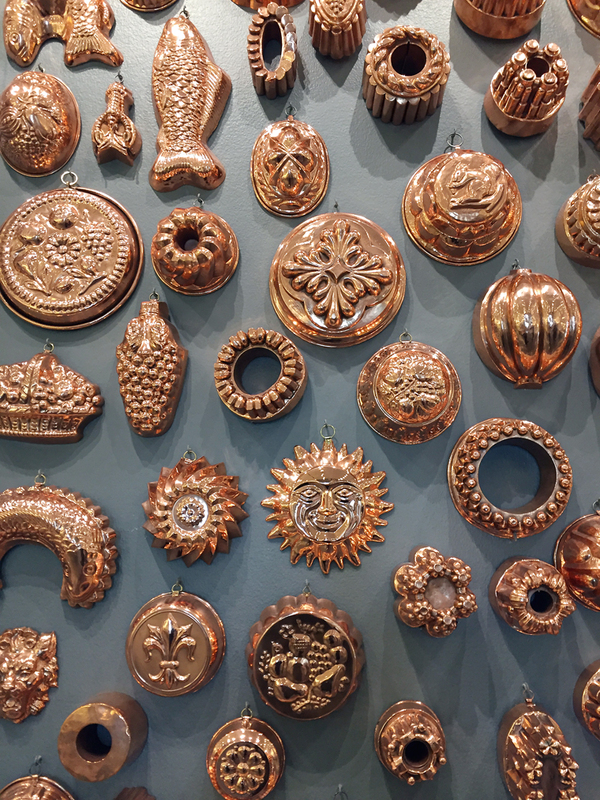 The lavish display of gleaming copper molds at the Chuck Williams Culinary Art Museum. You don’t often get to meet a legend. But I did in 2005. I remember climbing the stairs to the top floor of the flagship Union Square San Francisco Williams-Sonoma to meet for the first time, its revolutionary company founder who single-handedly changed so much about the way we now cook. Chuck Williams was about to turn 90 and his cookware company about to celebrate half a century. A genteel, elegant figure, dapper in a sports jacket, tie and sweater vest, he was still editing every cookbook Williams-Sonoma published then. And his appearance anywhere in the store would provoke a rock star’s reaction, with starry-eyed shoppers coming up to pay their respects. 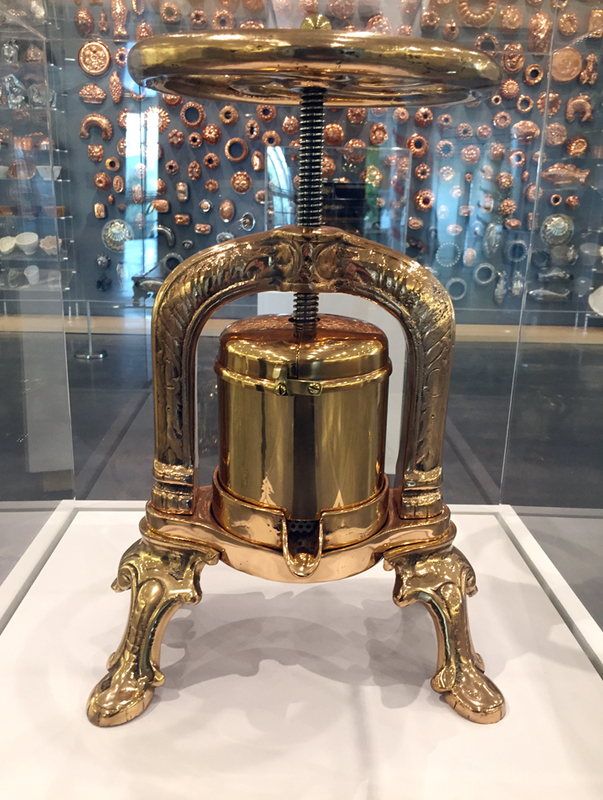 The new museum is on the second floor of the CIA at Copia. He started the original Williams-Sonoma in, yes, Sonoma. 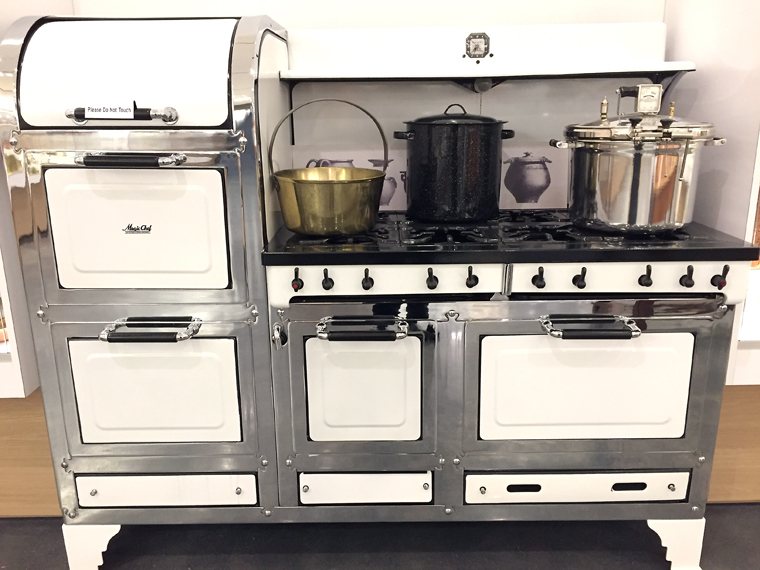 He filled it with French cookware he found on his travels, items that were well made and served a real purpose: hammered copper pots, gleaming molds of all kinds, coffee makers built to last a lifetime, and the first food processors. In so doing, he introduced to us all sorts of marvels we never knew we needed but now can scarce live without. 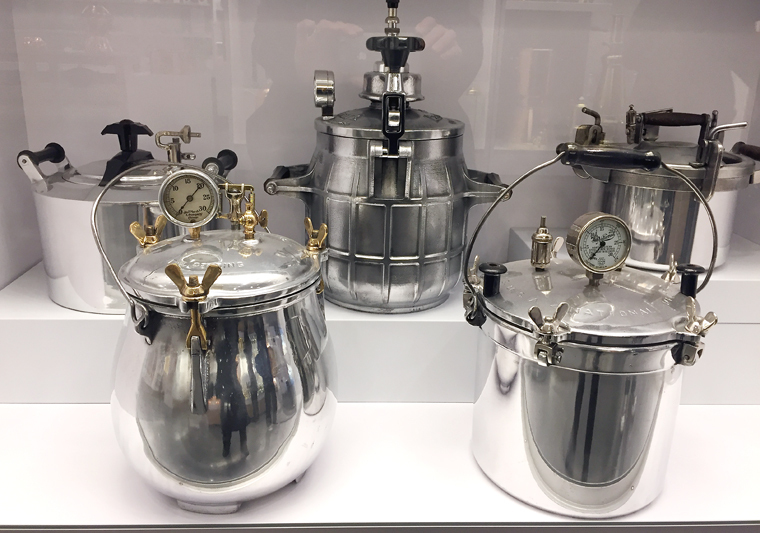 When Williams passed away in 2015, he bequeathed his extraordinary personal collection of thousands of cookware items to the Culinary Institute of America in St. Helena. 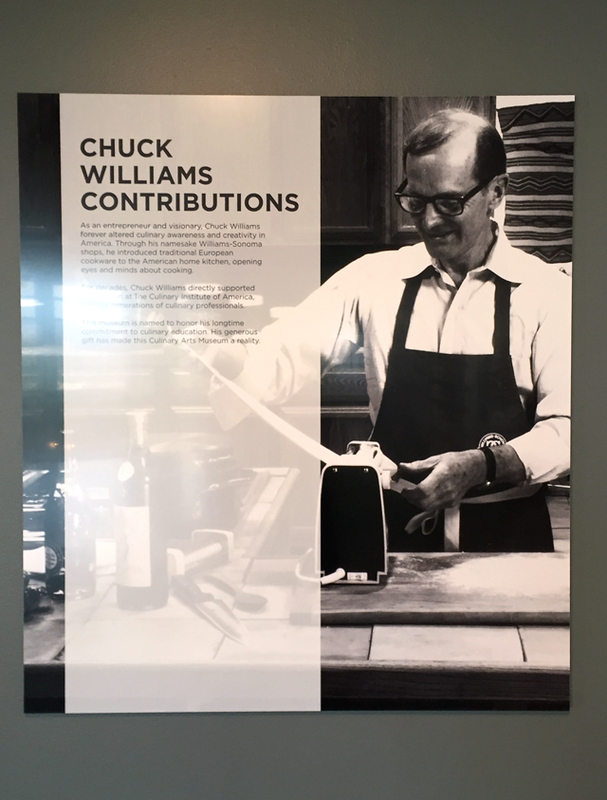 Late last year, new Chuck Williams Culinary Arts Museum debuted on the second floor of the CIA at Copia in Napa. The exhibit is open daily, and admission is free. 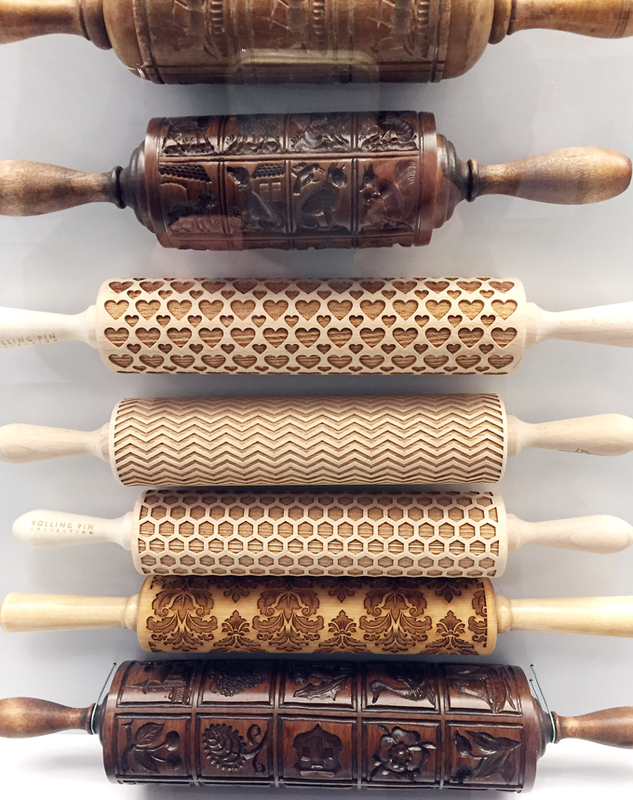 You’ll see all manner of distinctive rolling pins, knives, pressure cookers, butter molds, canisters, presses, and specialty pots that captured Williams’ fancy. 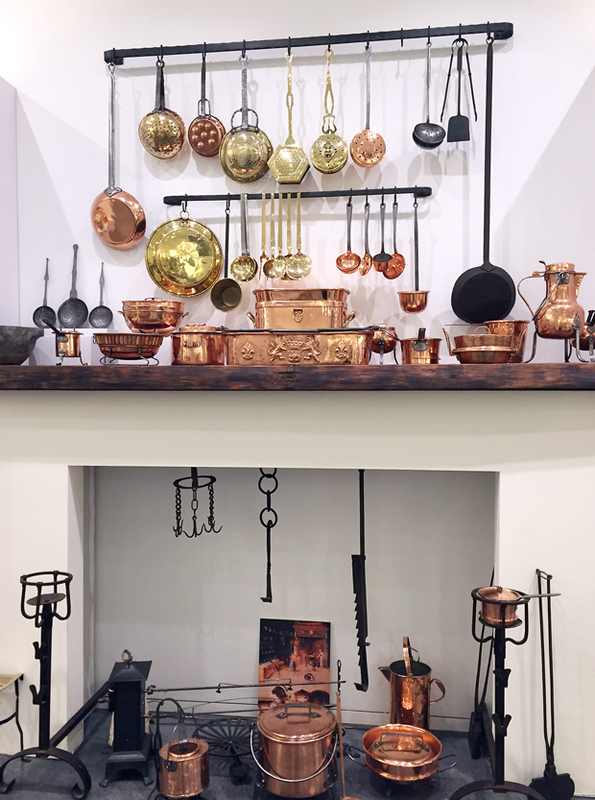 When I interviewed Williams, I remember asking him if there was any cookware item that didn’t yet exist that he wished would be invented. A fireplace done up for cooking on the hearth. His response? 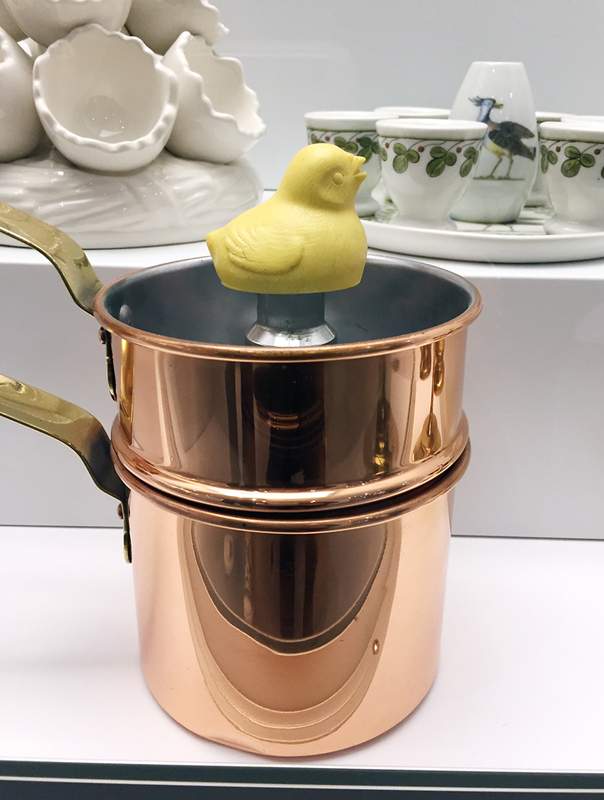 “A pan that would fry an egg properly all by itself,” he mused. Nobody’s quite produced one of those yet, unfortunately. But if you get the hankering for a cool souvenir, drop by the gift shop on the first floor afterward. A duck press to beat all duck presses. 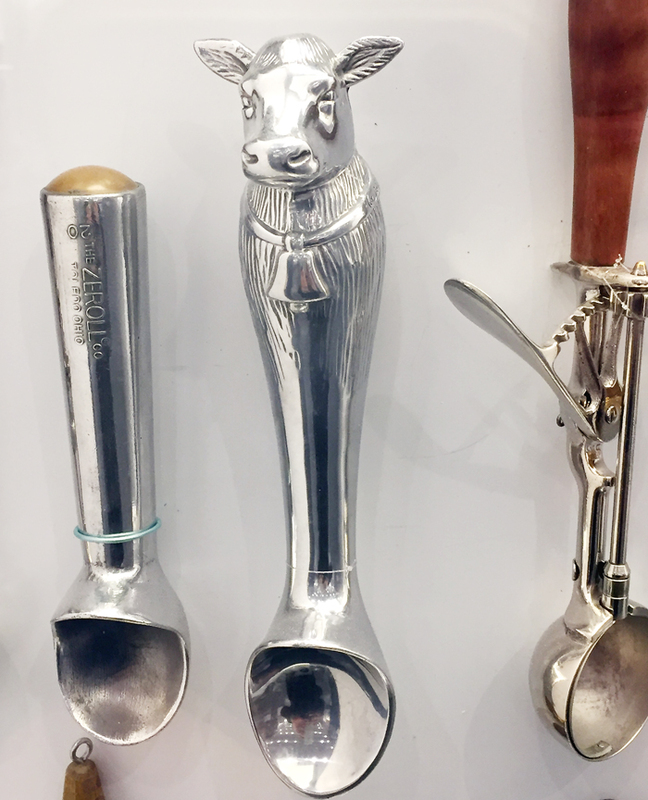 Williams must have collected doubles of some items, including the unusual knives sporting animal silhouettes above their blades. Just prepare to fork over more than a cool grand, though, to become a proud owner of one of those beauties.